The snap-back generation of 2446, sometimes confusingly called ‘Heuer’s Submariner’, is a base for much of the brand’s current appeal. The moniker exists not for the use of Valjoux’s 72, but the iconic status today. 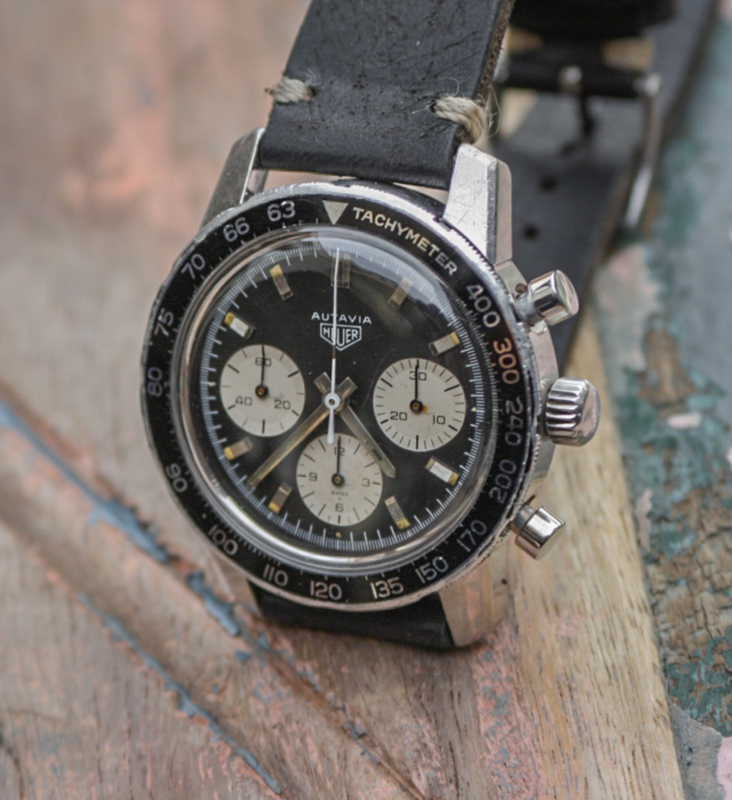 Heuer’s earliest screw-back Autavias are more collectible, but these snap/compressor variations are no less interesting. These were the models often actually used in motorsport and converted to GMTs. With the slightly more austere straight hands, blocky lugs, and applied indices, there’s something elegant in all its sporty appeal. While values have risen substantially, I believe there’s still quite a lot of room to grow. Particularly for unpolished and cared-for examples like this. Find this example here from Vintage Times, Amsterdam for 11800 EUR.